Eleven Philadelphia City Councilmembers, led by Councilwoman Maria Quinones Sanchez, signed a public letter in support of Angela’s campaign. We thank them for their leadership and add this important support to the on-going list of Angela supporters! 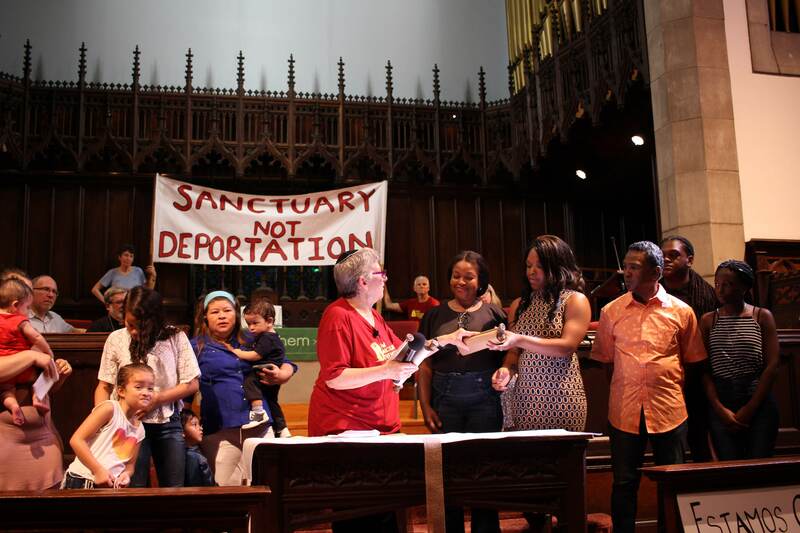 Prayer for justice in Sanctuary – by Angela Navarro / Oracion por la justicia en Santuario – por Angela NavarroPosada in Sanctuary!